Growing up, Aladdin was such a staple in the Disney movie collection! 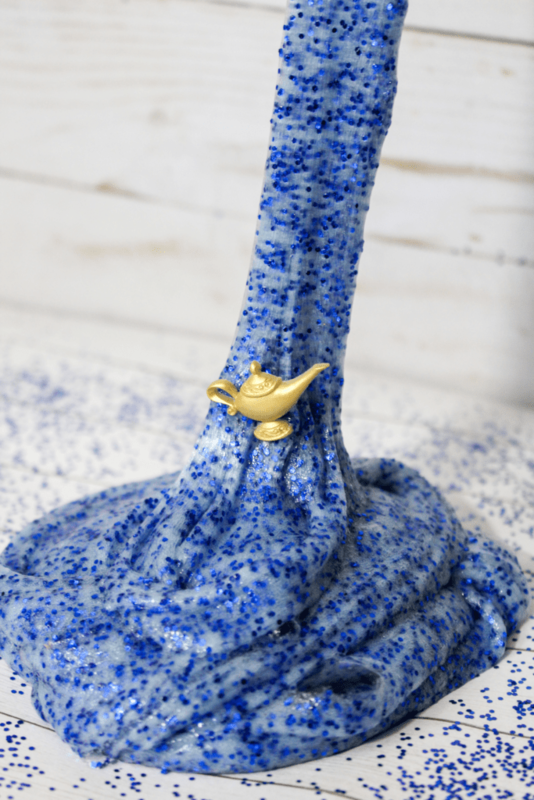 Imagining a magic carpet ride through a whole new world of wonder and awe; dreaming of a magical lamp, with a real genie, there to grant wishes! It is really no surprise that kids adored the heartwarming music and inspiring feel of the classic tale. 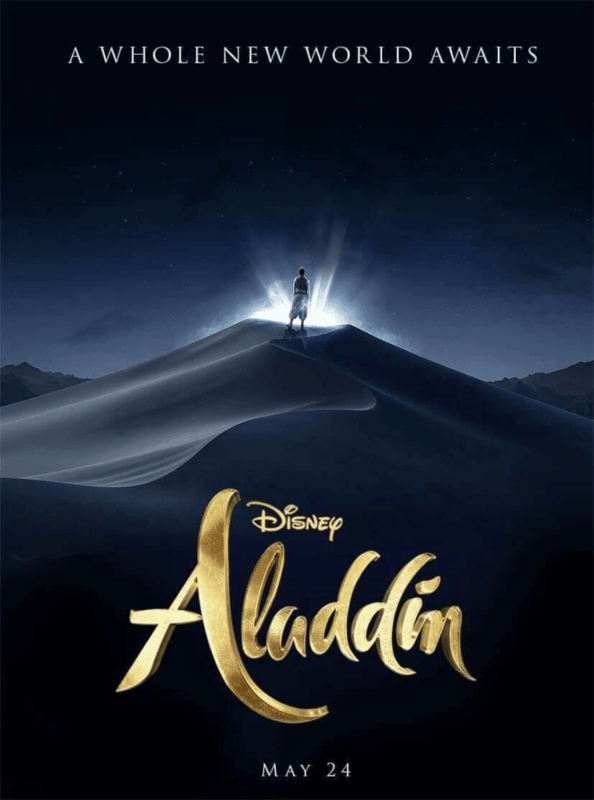 So, when my family heard that the next Disney reboot would be Aladdin in 2019, I had no idea how to feel! I mean, they could definitely take it in a few different directions but it is BOUND to be incredible. I cried (more than I care to admit) when I watched the Beauty and the Beast reboot in theaters (3 times!). I would be lying if I said I wasn’t counting down the days to the release of Aladdin in May. If you, or your kids, are as excited as we are about this, I have the most amazing slime craft for you! 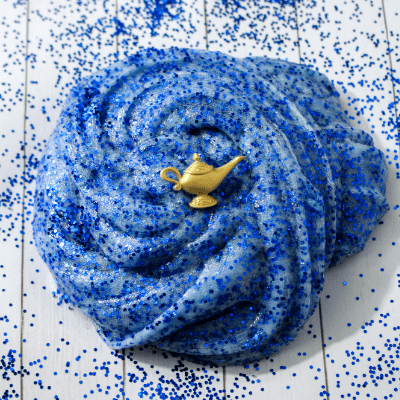 This Aladdin inspired slime is perfect for the genie lover in your house. 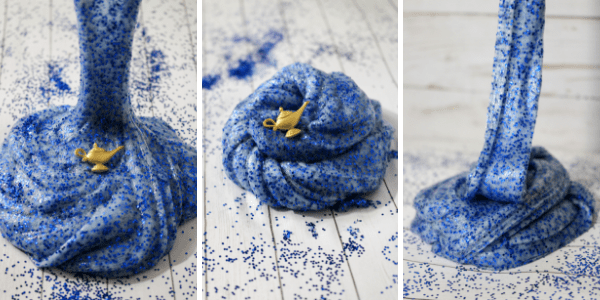 The blue sparkle is absolutely gorgeous and as an added bonus, this slime is borax free! We love making slime in our house and making different varieties and types keeps things fun! You can always count on kids to make sure the mix-ins are perfectly blended, as this gets their hands nice and dirty, what’s better than that?! The Aladdin movie reboot is scheduled to hit theaters May 24, 2019. 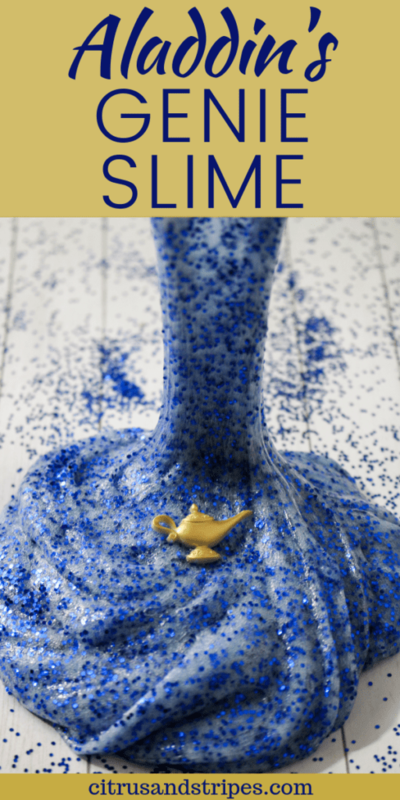 Make this slime just in time to get in the magical genie spirit! This slime is super stretchy, super glittery, and uses super basic ingredients that are easy to find anywhere! •blue glitter (This one is the perfect size “chunkiness” for our use! 1.In a bowl, pour 5 oz clear glue. 2.Add 1/2 cup water. Mix until the glue has broken up and is incorporated into the water. 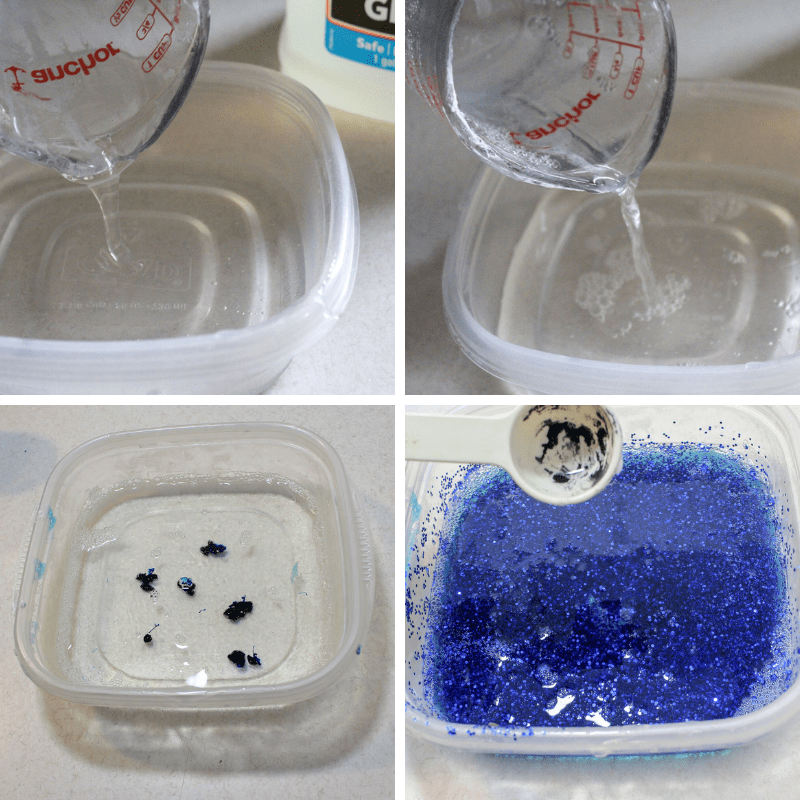 3.Add a few drops of blue colorant, mixing until you get the perfect Genie blue. 4.Sprinkle in your glitter. I love glitter! Stir. 5.Mix 1/2 cup baking soda in. Baking soda will help determine your slime thickness. 6.Add 1 tbsp of contact solution. Mix. The slime will be ready to knead when the slime pulls away from the sides of the bowl. Contact solution is what makes the slime sticky or not. 7.Knead the slime. It will be sticky at first. Just keep kneading it! If you have to, you can add a little bit of contact solution, but be careful not to over activate. 9.Store in an airtight container. 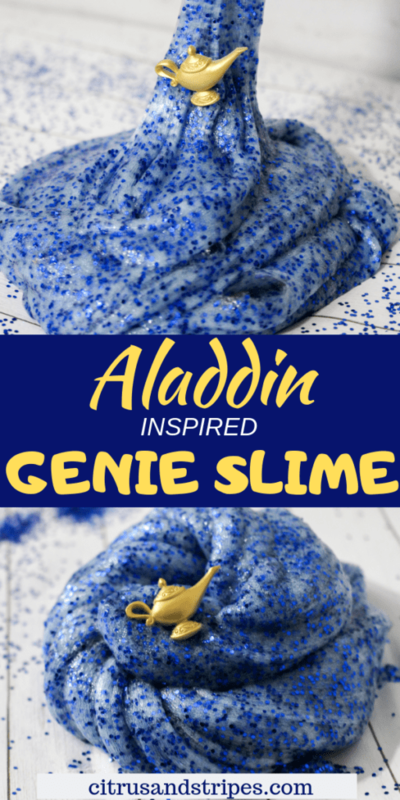 Did You Love This Genie Slime Recipe?